We've exceded 40,000 Books!!! ~ The Toronto Hare Krishna Temple! 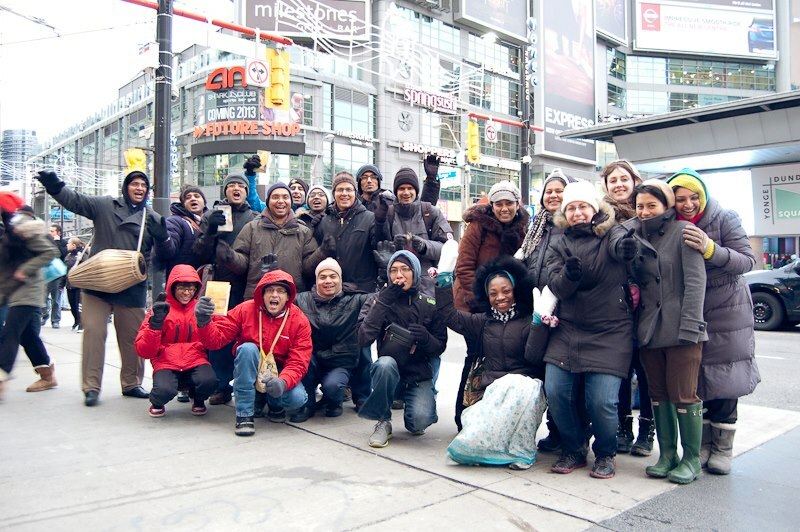 For those who have been closely following, ISKCON Toronto's Sankirtan Team has been on a mission to distribute (share) 14,000+ books for Prabhupada Marathon 2012 and 40,000+ books for the entire year! This meant hitting the streets and getting books to the public but also to family, friends and more. This is great and an inspiration to us. It is also really nice how you set that target in the first place and are making book distribution such a priority for your yatra.